Hi there, i hope that open a new topic for this type of question is fine. I am planning to join the hobby with Khorne and i made an army list, can you give me some tips about it? It so difficult to understand if your army could work without playing it first and without experience in the game. In my mind i am using the reavers and the blood warriors as a front line infantry, the bloodletters as damage infantry" and while the infantry "clog" the battlefield and engage directly into the enemy line "brainless", first the blood warriors than the blood letters, i was thinking to make the "calvary" arrives and engage "from the sides" of the enemy units. I was also thinking of having one slaughter priest following the blood secrator and the other one following the skullmaster for having all the buff and the ground covered. I was also wondering if the murderhost battalion is profit or not, i'm considering if it is a good idea to leave it alone and take another 10 bloodletters or other things. Any suggestion? I didn't understand if the skull altar needs a leader inside it or not. Since it doesn't cost points i am wondering if i will put it or not in the army. Can you tell me if i need a unit inside it or i can leave it empty? I am thinking if i want to use this 70 reaming points to take a Khorne judgement, do you have any advice on which could be better for this army? Umm ok I'll give this a shot. 2 Slaughter Priest good start, however, bad choices for Blessings. Bronzed Flesh and Killing Frenzy are typically the ones you want except in some corner cases. Do you have Judgments? They crank the killing capacity of Priest up to max and are good choice for multiple reasons that we don't need to get into here. You absolutely should add the Skull Altar, its free! There is no catch here just place it anywhere in your territory prior to deployment. You can summon stuff around it and get +1 to your Priest prayers and judgment rolls. Bloodsecrator ok another good choice, but you gave him 2 artifacts? Can't have more than 1 but good call on Bannet of Wrath, thats a keeper. Ok so im gonna slip right down to the glaring problem here. You have 3 battalions! Thats just way too many points invested in something other than bodies on the field. Ok so first off the bonus for Brass Stampede is not impressive. Its only 140 points, it gives you a comand point worth 5p and an artifact thats around 50 points + lowers your drops which is nice. But considering your other battalion choices i would drop this and put those points towards more units. As you're already starting 70 points down that means you now got 200 to spend which will get you 10 more Blood Warrior's or Flesh Hounds. Or another Priest and turn that 5x man Warrior unit into a 10x. After looking over the book a bit more and comparing things to your list i would say Murderhost is even bigger waste of points mainly because you are going to have a very hard time getting that bonus more than once or twice a game due to it being anchored to your slow Skulltaker. Also it cost more than Brass Stampede. I'm not gonna say never ever use more than 1 battalion but it is almost always better to have more wounds and attacks via additional units rather than additional buffs from battalions. Its pretty rare to see more than 1 battalion in a Khorne list. You kinda want to focus on getting the most out of 1 rather than the minimum of multiple. As for your unit choices they are niether great or horrible. To be honest i see all your infantry is going to get shattered in their minimum unit size. Also its typically better to focus on either deamons or mortals. Same idea with the battalions focus on one thing and do it good. Either get 10x Blood Warriors (gorefist are better than dual axe) or 20x or 30x Bloodletters. I would go with Warriors myself. The Reavers you only take because you need to fufil your battleline requirments or as screens that turn into easy blood tithe points, always in units of 10. The Hounds are solid you can even take a combo of Hounds and Warriors but units of 10 are gonna be better but also expensive points wise. As far as infantry goes your list is just redundent chaff. Their all battleline low/mid tier units at minimum power. Really if your gonna have that much infantry then you want to branch out into Skull Reapers and Wrathmongers. As for the cavalry, to be fair i have very lil experience with the Skullcrushers. I do know that 3 at a time are really underwhelming. Again, think of bigger unit sizes here, it will increase the the damage on Murderous Charge ability but these guys are not gonna really flatten most stuff they touch, rather get bogged down in long combats. I'm not saying their bad their just not great.  In conclusion drop all but 1 Battalion. Try to focus on that 1 battalion and make the most out of it. Your infantry is redundant and needs to be more focused on either cheap screen units just to fufil battleline or more mid tier battle line that can hold their own such as Warriors and/or Hounds. The Skullcrushers are better as one large unit. Seriously consider getting Skull Reapers in here to help you chew throu hordes or Wrathmongers to buff up Crushers to help them kill stuff quicker. I wouldn't go for 3 Battalions at 2K. Either way I believe you have too few units for Murderhost to be applied. I don't think Brass Stampede is worth the effort these days either. So in addition to the above advice I'd rework the list, go for Gore Pilgrims and try for something with more mass. You have the MSU units down, but in these sizes they do little. Thank you very much for your suggestions guys, finally i have some coordinates on how to build my army. I will go in details in every suggestion but the first most important thing you made me know is that i should have one battalion (and not more than two) in 2000 points, and how much i have to consider unit numbers and wounds over battalions. Regarding your detail analysis, ChaosUndivided, i am really grateful for every insight you gave me. First of all, i will follow your advices on murderhost and brasstampede. I was already questioning myself about them, but i was not able to judge it properly. Second, i will look into Skull Reapers and Wrathmongers to check how can i integrate them into army. Third, i love slaughterpriest, i am making a khorne army because of them, if i can put another priest in my army, i wil do it! Fourth, without the murderhost battalion, i don't even know if i need the skullmaster anymore. What do you think? Fifth, i will use some point to take more chaos warriors for sure. Sixth, i will take the altar and if they are so worth it, even some judgments! The fact is that i don't really understand why they are so good. In the end, as you said, i already guessed by looking at the slaughterhost types that the rules favour a mortal or demons khorne army, unfortunately. But i don't like blood reavers and i would love to have a mixed khorne army with chaos warriors and bloodletters, so i was trying to make something work with the two of them mixed together. Do you know if there a way to make the "two khorne faction" works together in a 2000p. list? Not really but cool model and you can summon him in as a "Bloodmaster" or whatever that other hero is on foot. 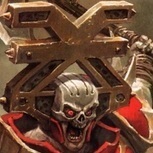 Do you know if there a way to make the "two khorne faction﻿" works together in﻿ a 2000p﻿. list﻿? You would benifit from having something big and nasty like a Bloodthirster. They work fine in mortal army. As i suggested Hounds are pretty good regardless of what host you take. Skull Cannons are another viable deamon in mortal list. I suggest you play some friendly matches and try different stuff out.